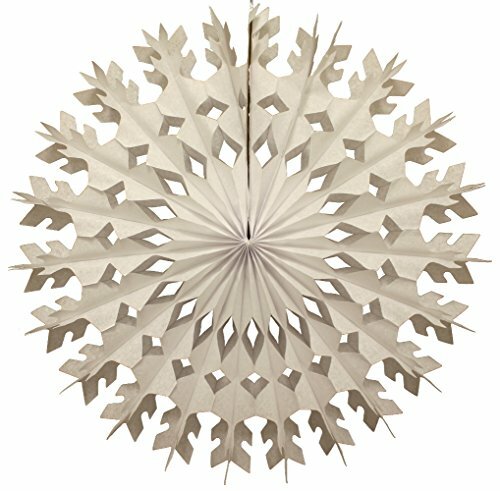 Large 22 inch tissue paper snowflake decorations. Crafted from the finest honeycomb tissue paper, these snowflakes ship flat and come with an attached hanging string. Creating a winter wonderland, frozen themed party backdrop, or holiday display is a breeze with these beautiful tissue paper snowflakes. Made in the USA by Devra Party. If you have any questions about this product by Devra Party, contact us by completing and submitting the form below. If you are looking for a specif part number, please include it with your message.